When we are in our most happy state, when we are doing something that we love to do, or maybe spending time with the people we love and care about, we are the most natural version of ourselves. If you are anything like me, this is also the time when I feel like my shyness disappears. I get into the zone and I don’t worry about what people think, I go into my own world. I’m just generally more relaxed. I feel that if we could be in this state all of the time, we would lead much happier lives, be more successful and be able to offer so much more to others. Sometimes, situations can make us act differently, who we are with can make us act differently, maybe in ways that are not really natural for us. I believe that when we are true to ourselves, we have a lot more to give than when we are trying to be someone else. For years I thought that I should try to overcome my shyness and change the way I was. I longed to be outgoing, interesting and exciting like some of my peers. I felt like I didn’t have charisma. Then I learnt to accept that I was quiet, and it was ok to be quiet. I stopped comparing myself to others. I now believe that the secret to being most true to ourselves is to accept ourselves as we are but strive to be the best version that we can be. If we can make ourselves just 1% better each day we are moving in the right direction. We can do this by studying, learning, working on ourselves and becoming passionate about educating ourselves. Read every day for 15 minutes or more if you can. Make sure you are reading something that really fires you up. There is nothing like the feeling of not being able to put a book down. Recently, my husband Jaime told me that he had ordered a book on Amazon called Crushing It. He very rarely reads, although he understands the importance of personal development. He prefers to listen. Anyway, when the book dropped onto the doormat, I got so excited! It was a hard cover too, and it really looked inviting. Later that day I picked it up to have a scan through it and I started to read it. For the next 5/6 days it went everywhere with me. I was so immersed in it and grabbed every spare moment to read a few pages. When you feel like this about a book, it gives you a fire in your belly and your whole life becomes exciting. You will be acting as the best version of yourself. Practice being present. By this I mean actually giving your full attention to what is going on, whether you are having a conversation, listening to something or watching something. Wherever you are…….be there! A tip that I learned from author, Amy Cuddy is to stand in a powerful pose (Like Wonder Woman for example) for two minutes before any situation where you want to be completely present. It really works! It is very important to spend time on yourself, in whatever form that may be. It could be time to pamper yourself, exercise, read or watch a film. I used to feel uncomfortable doing this, however I have since come to realise that if I look after myself, I have more to offer my family and those who are close to me. I started daily yoga at home in January and have kept it up every day since. Not only has it given me a great sense of achievement, the benefits are amazing! I love it, especially as its good for the mind as well as the body. Spend as much time as you can on the things that you are passionate about, think of how you can somehow incorporate these things into your day. It will help you to maintain a positive attitude and can also be a form of relaxation so that you will be more able to cope with your daily tasks and be more productive. And last but not least, have an attitude of gratitude. 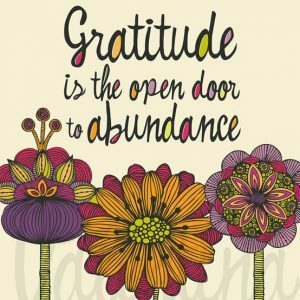 Make gratitude a habit, and I promise you, you will be amazed at the difference this makes. Just start off by jotting down a few things that you are grateful for every night before you go to sleep. And when you wake up in the morning, before your feet touch the floor, thinks of something you are grateful for. It will soon become second nature for you. I hope these ideas help you on your journey to become the best version of you! 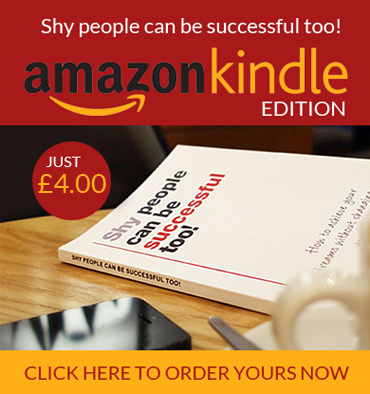 Have you read my FREE ebook yet? 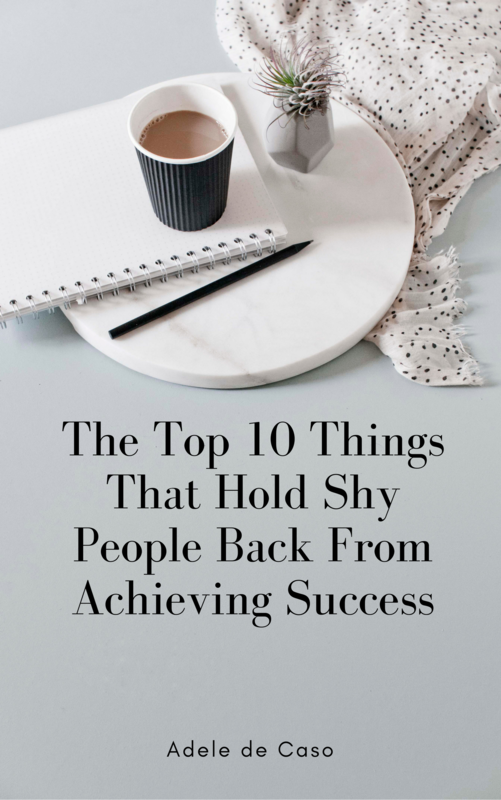 The Top 10 Things That Hold Shy People Back From Achieving Success – And what to do about them. This entry was posted in Blog, Uncategorized and tagged best version of you, books, Confidence, happiness, Personal Development, Shy and successful. Bookmark the permalink.